Over heating protection, Short circuit protection, Over voltage, Over currentprotection. 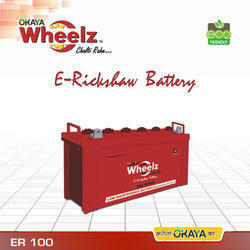 Being a leader in the industry, we are engaged in providing a premium quality array of E Rickshaw Automotive Battery. 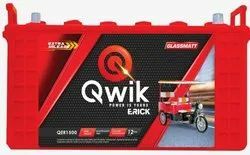 Product Description: To cater the variegated needs of our esteemed customers, we are highly engaged in offering a wide array of E-Rickshaw Tubular Battery. Keeping in sync with the latest market norms and policies, we are indulged in providing a high quality range of Electric Bike Battery. An electric vehicle battery (EVB) or Traction Batteries is a rechargeable battery used for propulsion of battery electric vehicles (BEVs). Traction batteries are used in forklifts, electric Golf carts, riding floor scrubbers, electric motorcycles, full-size electric cars, trucks, vans and other electric vehicles.